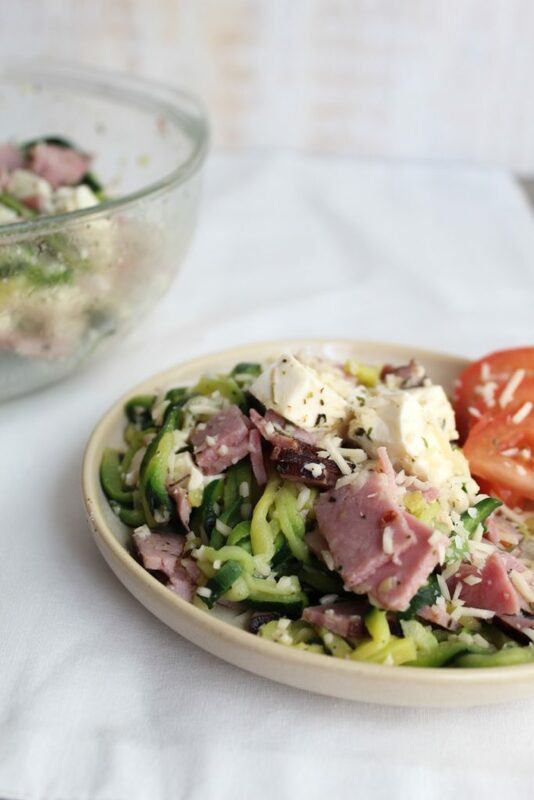 The perfect side dish to go along with your Italian Meal, or even to be eaten on its own! 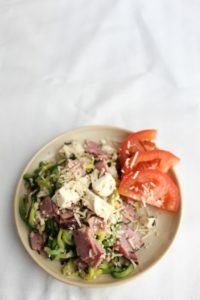 Loaded with the flavors of parmesan, ham, mozzarella, and italian seasoning, then finished off with the zip of vinegar. 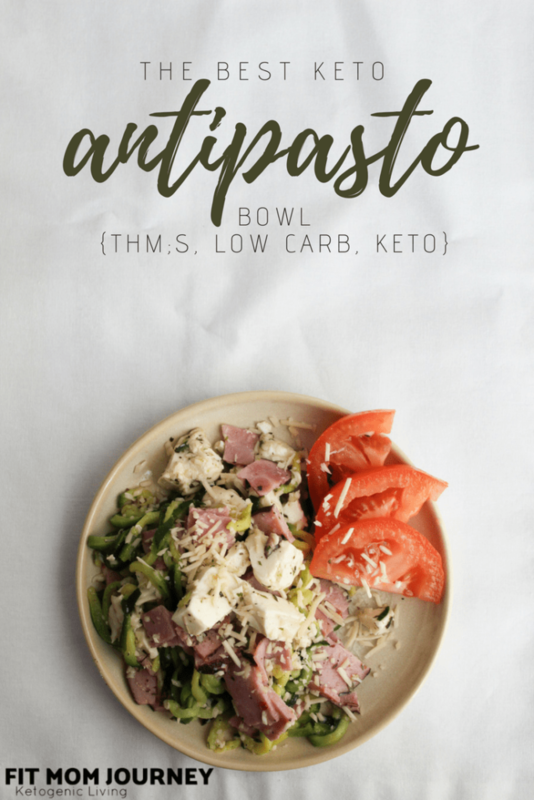 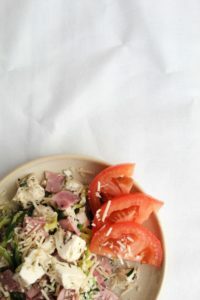 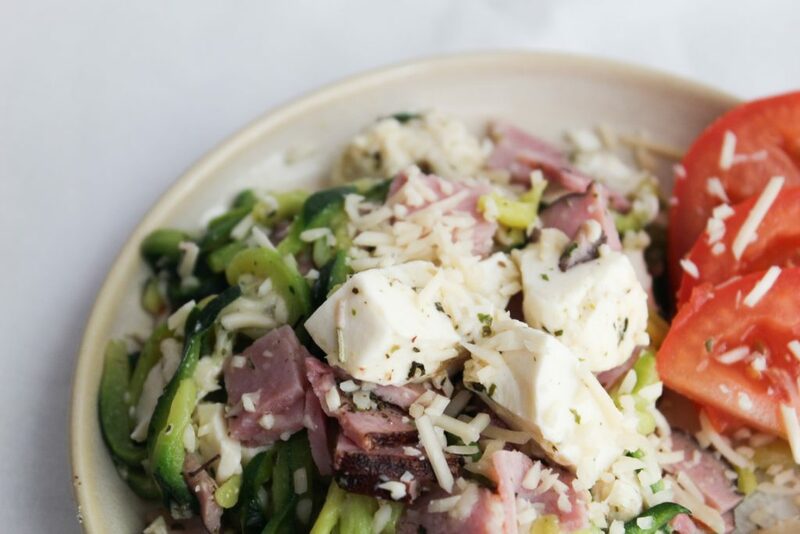 This Keto Antipasto Bowl requires no special ingredients and comes together in under 5 minutes. 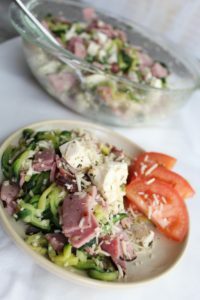 Italian food can be a struggle to keep low carb. 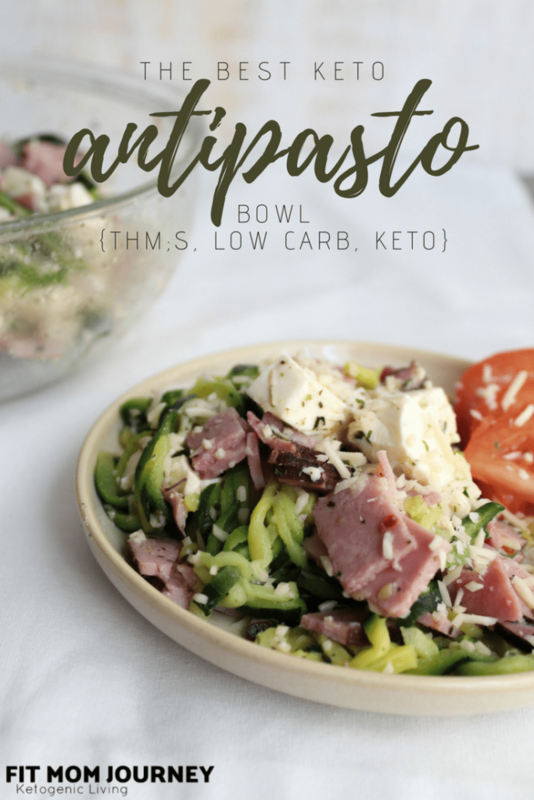 Thankfully, I've got some very creative recipes for lasagna and pasta, but sometimes you just need a side dish to go with your italian meal. 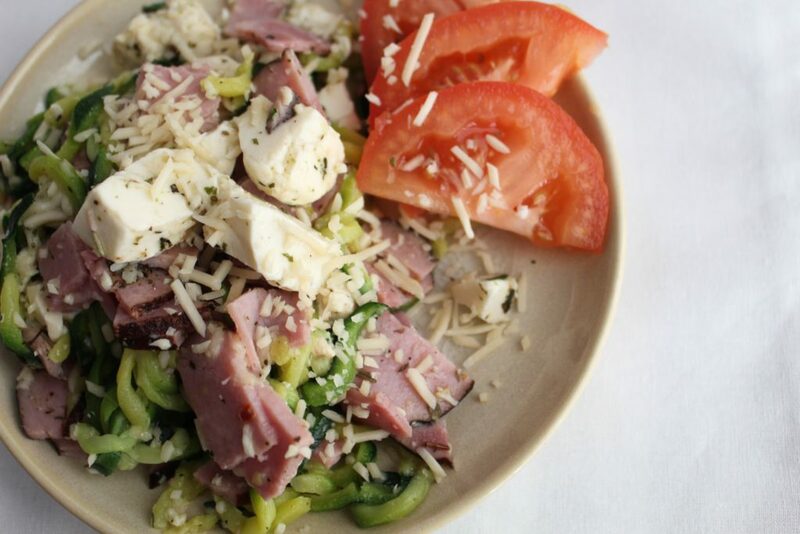 I kept this bowl very simple, using only ham, mozzarella, and zucchini noodles marinated in italian dressing, olive oil, vinegar, and parmesan, because I usually prefer simpler meals. 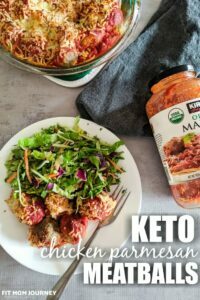 My family tends to be crazy picky, so I've left them out, but if you like adding more ingredients, go for it! 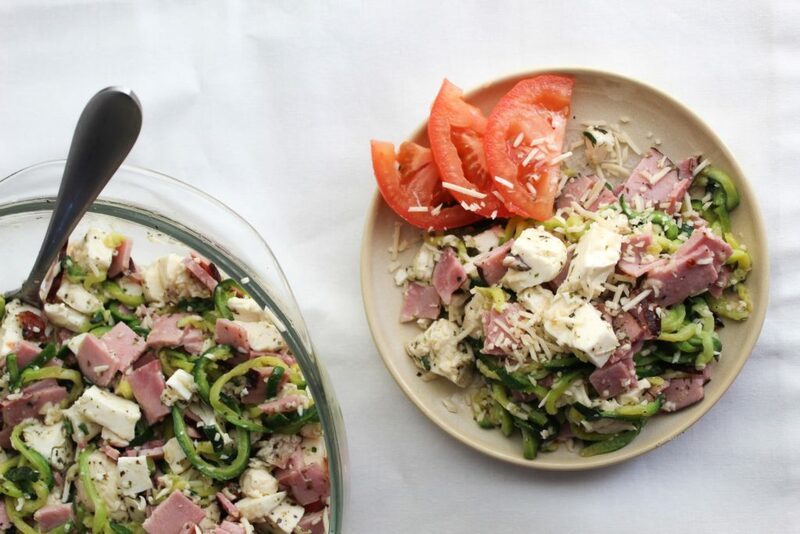 Good additions would also be salami, pepperoni, or even bleu cheese & bacon stuffed olives! 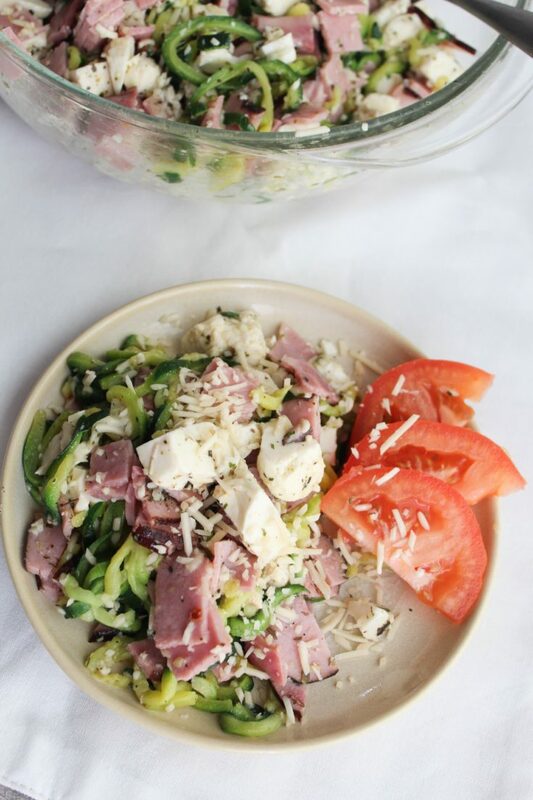 To assemble, simply mix the olive oil, vinegar, italian seasoning, and parmesan cheese in a bowl. 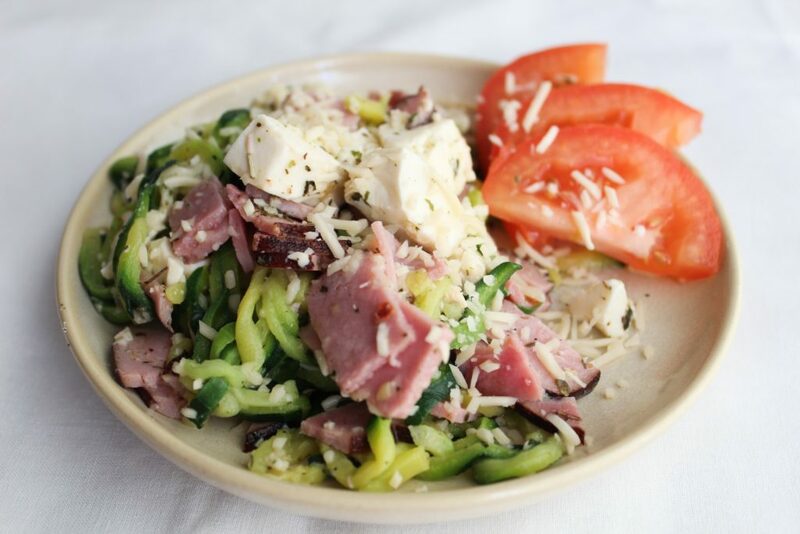 Chop the Mozzarella, ham, and zoodles, then add to the parmesan mixture and mix well. 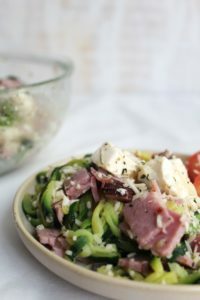 Let sit for a few minutes or overnight before serving so the flavors have time to be absorbed into the mozzarella, ham, and zoodles. 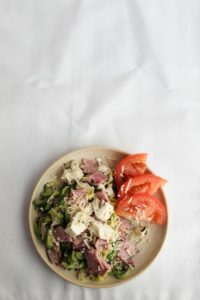 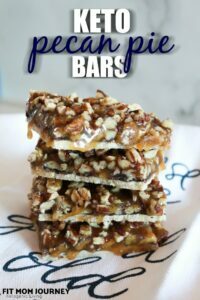 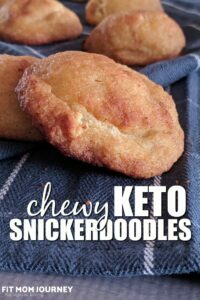 Of course, you can mix in any other low-carb ingredients you wish, from the list above! 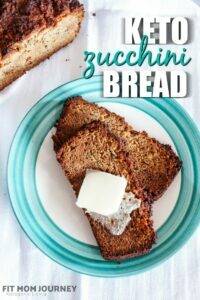 Almond Flour – my pick! 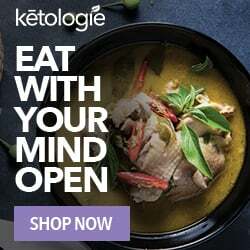 Coconut Flour – my pick!